New York, it will target the students and middle class members in the society who has the ability to purchase goods provided in the pop-up store. Students will be coming back in August. Considering that time is needed to establish the business before they resume, it shall be started in mid-August. Two floors are secured for the store to ensure that the goods being sold are arranged in a manner that customers will be able to locate their section easily. Huge investment will be made in the business. The expected revenue for this pop-up store is about $103,507. Initial profits will be ploughed back to increase stock and meet arising customer needs. As sustainability is an upcoming concern in fashion which cannot be ignored, ASOS Pop-up store will employ sustainable options in its operations to align with environmental concerns and at the same time provide fashion clothing that appeals to the needs of consumers. ASOS, an acronym standing for “As Seen On Screen”, is a British online fashion and beauty store founded by Nick Robertson and Quentin Griffith. They registered a website in Aug 1999 with the name AsSeenOnScreen and launched it in June 2000. ASOS IPO ASOS IPO on London stock exchange, aim valuing the company at £12m. Nick Robertson on the left is the founder of ASOS; Nick Beighton on the right is the current CEO. The idea of ASOS started in 1999 when founders had the idea of starting an internet business where people could find clothes or accessories they had seen celebrities wearing. ASOS Magazine Asos launched their first free magazine. The company launched three private labels - ASOS Bridal collection, ASOS White and ASOS Red Carpet collections. First international office in Sydney opens, followed by New York, France, Lille and Berlin. A new warehouse is going to open in Atlanta, Georgia, another distribution center after Ohio warehouse. To become the number one fashion destination for 20-somethings globally. VALUE Our corporate responsibility framework “Fashion With Integrity” is designed to support our wider business strategy and will help us to implement sustainable working practices at ASOS. It will also help the suppliers with trade to do the same. Operating in a responsible way is essential to our long-term future. Our customers expect it and the long-term preservation of the environment depends on it. The Group has delivered a strong set of results for the year to 31 August 2016 with retail sales growth of 26% to ÂŁ1,403.7m (2015: ÂŁ1,112.2m) driven by strong product, delivery improvements and further price investments across our major markets. ASOS has a unique pricing technique that helps maintain loyalty among its clients. In addition to being affordable in comparison to other similar companies, ASOS has a price promise policy, where if a client comes across an item similar to the one sold by ASOS but unbranded, the client gets that particular item for the exact same price as the unbranded item. A comparison of various women’s item from ASOS using ASOS price compare reveals that most items are cheaper at ASOS compared to the competitors’ prices. This makes ASOS’s products more accessible in terms of price, particularly for its main target market - the millennials - who have a penchant for classy but affordable fashion styles. CURRENT Marketing and COMMUNICAtion strategies ASOS has managed to build a successful brand within a short period of time, and this can be attributed to the company’s marketing and communication strategy. According to the ASOS website, the company invests in technology and comprehensive communications strategy to effectively market itself. While the founders’ main aim was to create awareness about the celebrity-inspired fashion items, the subsequent success of the company inspired changes to the fashion trends in an effort to remain at the top. The brand expanded from selling celebrity-inspired outfits only, to designing trendy fashion wear for 20 years old millennials. ASOS expanded its business by focusing on more market needs, which gave rise to market expansion. As the market expanded due to the diversity in products, ASOS became more popular, hence its success. CURRENT ADVERTISING ACTIVITIES ASOS has also invested in publishing high quality content on its monthly magazine, which has a global outreach. The magazine boasts of over 800,00 online subscribers and approximately 460,000 readers every month. The content focuses on celebrity styles, shopping tips, ideas on styling, and do-it-yourself-articles, which readers enjoy reading. The online magazine is unique in that readers have a chance to shop directly from the magazine. They launched ‘As Seen On Me’, a social shopping micro-site in Germany, France, Australia and the US, enabling customers to share images of themselves wearing ASOS products on social media and on our websites. In summer 2017, ASOS launched a new swimwear campaign â&#x20AC;&#x2DC;Natural is beautifulâ&#x20AC;&#x2122;, praised for featuring models with visible stretch marks. The company left its models unairbrushed, with visible stretch marks, cellulite and all the other skin perfections that are perfectly natural and normal on display. The another marketing strategy that ASOS has catapulted the company success is product diversity. ASOS acknowledges that people have different fashion style, and tries as much as possible to accommodate all styles by diversifying the products to fit everyone. This has consequently made ASOS the one-stop e-commerce site for young people who are looking for versatile fashion style in the 21st century. ASOS has also shared its platform with some of the most successful fashion brands and designers, which has enabled the company to enlarge its market share. ASOS groups its branded items with those from other famous fashion companies, hence giving ASOS’s products mileage and exposure to clients who shop from other brands. Built in-house, the app has 10 million downloads according to the company, and it’s also the focus of the retailer’s latest technology investments, coming from its 900-person tech team, which Asos plans to grow by another 200 next year. The app is home to features like AI-driven product search, mobile payments and a fit analytics function, all meant to put some muscle behind the often finicky mobile shopping experience. Most recently, Asos rolled out a visual search tool to U.K. iPhone app users that lets shoppers take a photo of a product they like in-app, and it pulls similar items from a pool of 85,000 product images. The feature will be introduced to Android and international markets next, including the U.S., where Asos has invested $40 million in building out a distribution center. “Our number one priority is: We need to build experiences that capitalize on mobile,” said Rich Jones, Asos’s head of product and UX. CURRENT SALE PROMOTION ACTIVITIES : • Free delivery to 140 countries • 10% student discount offered by registering as a student online. • ASOS outlet offers deals up to 70% off, 60% off for winter clothes • 20% off for autumn items US Market : • Free two-day shipping on orders over $140 • ASOS premier delivery USA, pay $19 and get unlimited two-day shipping for a year. LOGISTICS ASOS heavily relies on technology for distribution logistics. The distribution structure comprises of fulfillment centers across the world. Which helps the company to effectively distribute merchandise to all the clients globally. The fulfillment centers also reduce delivery time, hence saves on operational costs for the company. ASOS has also invested in automation of operations at their warehouse, which has significantly contributed to the efficiency with which it operates and delivers merchandise to clients. *ASOS is opening a new warehouse in South Atlanta to help fuel sales growth in the US. MOBILE APPS Since the company conducts its business online, it has expanded the capacity of its applications to be supported by various devices, including mobile phones. This has made the shopping experience for the clients easier, as one can shop anytime irrespective of the geographical differences. ASOS also keeps abreast with the latest technological advances and updates its apps frequently and constantly so as to provide the best shopping experience to its clients. To enhance distribution, ASOS most recently overhauled its app to include latest fashion features, in addition to enabling the client to sync saved shopping items across different devices. ASOS faces direct competition from companies such as BooHoo, H&M, TOPSHOP and Zara. These companies offer similar services, although with slightly different products. For example, while the focus of ASOS is on trendy fashion for people in their twenties, Zara, H&M, and BooHoo have a much wider target market, as they have products for older people and even children. TOPSHOP has expanded its services to include provision of inspirational posts that are meant to help shoppers make decisions on how to pair clothes with other accessories. Zara is the worldâ&#x20AC;&#x2122;s largest fashion retailer and pioneer of fast fashion, and this presents a competitive challenge to ASOS. This is because the competitors, and particularly Zara, have a higher hand when it comes to predicting customer needs due to their extensive experience with customers, as opposed to ASOS. ASOS has however managed to overcome most of the competitive challenges by establishing a superior marketing and communication strategy, in addition ensuring that only unique merchandise make it to the virtual shelves. While it takes 25 days for Zara to design and place its final product on its virtual shelves, ASOS takes fewer days to achieve the same. The efficiency with which ASOS produces and avails its products to its clients therefore gives the company a competitive edge against its main rivals, Zara, H&M, TOPSHOP and BooHoo. Unlike Zara that has numerous physical stores, ASOS has concentrated on selling online instead of expanding its physical presence. ASOS has consequently avoided overabundance of the brick and mortar stores, whose operations are being competitively consumed by e-commerce. 1. Boohoo.com Boohoo.com plc operates as an online fashion retailer in the United Kingdom, rest of Europe, the United States, and internationally. The company designs, sources, markets, and sells clothing, shoes, accessories, and beauty products through the websites to a market of 16 to 30 year old consumers. It offers products for men, women, and children. The company also provides its products under the boohoo, boohooMAN, PrettyLittleThing, and Nasty Gal brand names. boohoo.com plc was founded in 2006 and is headquartered in Manchester, the United Kingdom. 2. NastyGal Nasty Gal Inc. manufactures, markets, and sells clothes, shoes, and accessories for women. The company offers dresses, tops, bodysuits, denim products, swimwear, jackets, sweaters, lingerie, etc. It also provides a wide range of shoes and accessories. In addition, the company distributes third party products. The company was founded in 2006 and is based in Los Angeles, California. Nasty Gal Inc. operates as a subsidiary of Boohoo F I Limited. 3. Topshop & TopMan British fashion retailer was founded in 1964 by Peter Robinson, named as “Top Shop”, then changed to “Topshop” afterwards. The company offers clothing, shoes, beauty and accessories. It has more than 500 stores worldwide in 37 countries and it operates 10 stores in America. 4. ZARA Spanish retailer founded in 1975 by Amancio Ortega and Rosalia Mera. It is a vertically integrated company and the flagship chain store of the Inditex group, one of the world’s largest distribution groups. They offer products from womenswear, menswear, childrenswear and accessories. ZARA has more than 2,200 stores in 93 countries. INDIRECT COMPETITORS ASOS attributes most of its success to their versatility. The company did not only provide fashion items but beauty products and stationeries too. Opening a pop-up store in New York City, ASOS will face indirect competition from the giant cosmetics retail store - Sephora and the world best known brand - Apple. Sephora is like ASOS, they gained a lot of popularity among young adults, and this has been mainly achieved through its prevalent online presence. Both ASOS and Sephora have invested heavily in their online stores since a majority of their business transactions are performed over the internet. Both companies also have mobile phone apps with distinctive features that have set them apart from their direct competitors. A distinctive feature of the ASOS app is Visual Search, which allows consumers to search for accessories and clothes using their photos. The Sephora app also possesses distinctive features like ColorIQ, which allows customers to find skin and nail products that match their skin shades. gagement. Taking advantage of social media platforms to advertise the ASOS brand has ultimately been one of the most effective strategies that drives customersâ&#x20AC;&#x2122; interest direct to the website. On the other hand, Apple is extremely popular all over the world. The difference between ASOS and Sephora is Apple did not just gained popularity among millennials, but a much wider target market. The unique features, distinctive customer services and a wide variety of products made the company strong and undefeatable. 2. Apple Apple, Inc. engages in the design, manufacture, and marketing of mobile communication, media devices, personal computers, and portable digital music players. It operates through the following geographical segments: Americas, Europe, Greater China, Japan, and Rest of Asia Pacific. The Americas segment includes both North and South America. The Europe segment consists of European countries, as well as India, the Middle East, and Africa. The Greater China segment comprises of China, Hong Kong, and Taiwan. The Rest of Asia Pacific segment includes Australia and Asian countries not included in the reportable operating segments of the company. The company was founded by Steven Paul Jobs, Ronald Gerald Wayne, and Stephen G. Wozniak on April 1, 1976 and is headquartered in Cupertino, CA. SELECTED AREA NEW YORK CITY - SOHO Since its inception, ASOS has risen to be among the leading online beauty and fashion stores in the world. The 2 billion it makes in sales annually is an indicator of the impressive performance that the company takes. It is with the realization of the practical nature of the business that ASOS wants to expand into the New York City. Mainly, this has been buoyed by the 2016 sales it made in the United States. The sales represented 50% growth compared to prior years. ASOS has identified New York as the area that it intends to establish its warehouse and facility upon entering the American market. Numerous factors could have made the company settle on this particular city. One of the elements is the high number of people. Statistics reveal that New York is the countryâ&#x20AC;&#x2122;s most populous city, a factor that makes it have huge financial influence. The massive number of people in this particular region gives the firm a high number of potential customers. The second reason why New York is attractive is the diversity of its people. Individuals of different backgrounds reside in the city. According to the latest census report, there are close to 9 million people in the city and close to one-third of them are foreign-born. Arguably, this is an indication of the diversity in place at the city. The fact that ASOS wants to be synonymous with the fashion industry, as Facebook has imprinted itself to social networking, means that it should be ready to embrace and work with diversity that is provided by New York. Another attractive aspect of New York is the commitment that the in-place government has shown to support people or organizations that want to put their business in the city. For instance, the state provides tax-based incentives that are meant to improve the competitive edge of businesses in this area. Besides, the government in a bid of providing growth support to business has established grants, loans, and funds. Through such financial incentives, businesses in the city have an opportunity in growth, a factor that underlines the attractiveness of New York to business. in. With this, the authorities have created laws that should be followed to achieve environmental sustainability. It is necessary for ASOS to conform itself to the set standards in a bid of avoiding confrontations with environmental agencies on matters to do with caring for the environment. LEGAL Before establishing a business in New York, organizations or individuals need to ensure that they have followed the proper legal framework. ASOS first needs to get authority from the relevant regulatory body before it can set up in the city. The in place rules state that a foreign corporation or business entity shall not conduct any business they are authorized. To achieve this, ASOS should ensure that it has made an â&#x20AC;&#x153;application for authorityâ&#x20AC;?. Through this, the company will be acknowledging that all the established state laws on doing business bind it. In addition, it will be portraying its willingness to be bound and adhere to the commerce clause. The clause stipulates how the government will tax the company and the applicable percentage figures. SOCIAL Cultural diversity is the social aspect that will affect the company. As earlier highlighted, New York is regarded as one of the most diverse cities in the world. With the products that ASOS deals with, it is correct to assume that the diversity of people in the city will help push the sales figures of its products. people are in charge of annual prestigious fashion week organised in the city. It is worth noting that these events make a considerable contribution to the $15 billion earned by fashion. The projections are that the annual events generate close to a billion dollars. The huge figure is got from the visitors at the city and the purchases they make. However, the downside fact is that only a small number of people purchase fashion accessories via the online platform. HEALTH AND SAFETY The health and safety of persons living in the city have been given priority by the state government. The Division of Safety and Health (DOSH) is tasked with this duty. The department has the sole purpose of ensuring that the health of employees and members of the public in the city is prioritised. Organisations and business opened up in the city are put under different programs meant to ensure that they provide for the safety of their employees and customers. INFRASTUCTURE Infrastructure has the effect of supporting the economy of the state and people’s lives. And it is with this knowledge that New York City has ensured that it has the necessary infrastructure. For instance, the state has invested in its aviation infrastructure. Records indicate that there are 18 large commercial airports and 67 small public airports. Another infrastructure that the state has heavily invested on are roads. An established and operational 240,000-mile road network serves the residents. From this, it is correct to suggest that ASOS will have no difficulties in distributing products to the customers who make online purchases. LEGAL ISSUES, LOCAL TRADE LAWS, RESTRICTIONS AND TAXES As stated earlier, there exists a set of legal issues and restrictions that businesses operating in New York City needs to confirm. For instance, an international enterprise such as ASOS needs to apply for “application for authority” before setting up shop. The companies also need to sign the commerce clause that shows its intent of paying taxes. Noteworthy, there is a wide range of taxes that are paid by businesses operating in the city. RENT RATES The dynamics of New York are such that the rates at which people pay rent are different. Retail rents portray the greatest disparity in the rates. For instance, a store tenant is required to pay over $4,000 per square foot in Manhattanâ&#x20AC;&#x2122;s Upper Fifth Avenue. In Staten Islandâ&#x20AC;&#x2122;s St. George, the same store tenant can pay as little as $10 per square foot. Office rents are highly charged in the city with a square foot charged for as high as $82. HUMAN RESOURCES The company will begin by employing 12 employees who will operate the shop. Out of this number, one individual will be the store manager who will be in charge of the entire shop. He or she will be the highest paid among all 12 staffs with a monthly salary of $4,800. The fact that ASOS is an online company means that there will be two IT assistants who will be responsible for the in place systems. They will get a monthly pay of $3,120. Other than that, there will be 2 stylists in order to help customers mix and match the best fits for them. Finally, there will be 5 floors staffs in the store distributing products to customers using the auto motives that the company will purchase and 2 cashiers responsible for different payments and answering calls from customers giving directions to those who visit the premise, etc. All 7 employees will earn an hourly fee of $12, a monthly fee of $2,880. CHOICE OF LOCATION ASOS will open its pop up store in 372 West Broadway, New York, NY, 10012. The place in New York City that is best suited for ASOS to set up shop in Soho. Reason for this is its history. Traditionally, the place has been famous for its numerous artistic art galleries and art lofts. Since ASOS sells celebrity wears, it will offer it ready market. Another reason why Soho is best placed to open up the fashion retail store is the existing fashion stores in the area. For instance, there are Ralph Lauren, Rapha NYC and Acne Studio shops already in operation at the area. From this, it is easy to assume that fashion minded people frequent the area to do their shopping, something that can be termed as a ready market for the fashion products that ASOS intends to sell win the new market. With a shop at the area, people coming for shopping will have another alternative in the products sold by ASOS. LOCATION DETAILS This is the perfect location for ASOS as it is growing into a mini economy where retailers like Topshop, H&M, Zara, Nike, Free People, Uniqlo, Etc, are already established. Opening a pop up shop right in the middle of its competition will give ASOS an advantage of catering their existing market. Moreover, ASOS sells many brands that are open in the area such as Nike, Dr Martens, adidas, MANGO, which gives them an upper-hand being a one stop store. This is also an opportunity for ASOS to prove to their customers how and why theyâ&#x20AC;&#x2122;re different from all the physical retailers around them. York is also based in Soho. Apple is one of the most popular brands among Millennials, thus making this shop a landmark for them. Soho is also a hub of interesting museums including the Leslie-Lohman Museum of Gay and Lesbian Art, C. J. yao art gallery, International Photography museum, etc. Soho is a stop in multiple subway lines, including busy lines such as F, N, R and 6, that bring the right traffic the area. There are many taxi services that also run with inexpensive carpooling services; and for those customers who prefer driving, there is a parking lot called the Vine parking lot 2 blocks away from the store. AREA FACTORS The New York university is located in Soho 10012 (fairly close to the pop up shop), which is another reason why soho only keeps growing as a place for millennials to hang out. New york university has a population of over 50,000 students and apart from a small percentage, all of them are potential customers for ASOS if not already existing. These students create a large amount of pedestrian traffic in Soho, especially in the zip code 10112 where the brands that they can afford are located. There is also an opportunity for ASOS to advertise in the New York university to get students to visit their pop up shop in case they donâ&#x20AC;&#x2122;t happen to pass by it. ABILITY OF REQUIRED HUMAN RESOURCES New York is one of the most commercialized cities in the world, with millions of people going there to look for jobs. Soho is also a reputed area to work which will make it easy for ASOS to find human resources. Soho is a well connected area when it comes to public transportation. However, the means of transportation used by ASOSâ&#x20AC;&#x2122; target audience are the Subway trains. ASOSâ&#x20AC;&#x2122;s target market within the Trading Area Population. Great shopping!- Soho is a great place to shop. Designer stores, trending stores, lower end stores too. You can find everything you want. 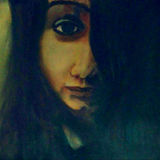 Lots of local artists share spaces too. Walk up and down side streets and you will find hidden treasures. - Illise There’s never a boring moment in Soho because there are many clothing stores, high-end boutiques and restaurants to choose from. it’s a highly populated neighborhood for that purpose, it’s a highly populated neighborhood for that purpose, - Mely Y. TARGET MARKET The Target Market for the ASOS pop up shop is segmented in various groups of people if looked at lifestyle traids, but they can broadly be categorized as Millennials. They include striving young adults who are in college or early years of their careers, mostly without kids. They believe in individuality, global connectedness, freedom of speach and expression. They are pillars of a new value system that measures the authenticity of everything, especially brands. Have a heightened sense of visual stimulation. The ASOS pop up store will be divided spread out on 2 floors, ground floor and the basement. The ground floor will be a split in 3 major sections - Exhibition, Cashier/Help Desk and New Season. The basement will be divided in 3 major sections - Style Guide, Try Rooms and Edits. EXHIBITION : This Is ASOS This section will be a showcase-only area where the customers can get to know everything about the brand. There will be a timeline of the brand with huge infographics and visuals telling the story of ASOS. There will be a map of all its suppliers with a little description of all factories placed around the map with pictures. On display will be 3 smart screens with the ASOS website open on them. 2 staff members stay in this area at all times to answer any questions customers may have about the brand. Their main job will be to teach customers the best way to find the right product on the asos website. TRIAL ROOMS : Trial rooms will also be next to the style g section so that the style guides can help the customers find right merchandise for them or suggest them on the chosen fits. There will be a cashierâ&#x20AC;&#x2122;s counter where store pickups on line orders will also be available. - Edits This is the largest, and the main shopping section of the store. Here all the merchandise will be displayed (except new season). The display will be based on the different edits featured on the website - Eco Edit, Vacation, Going Out-Out, Workwear, and face +Body. This is the section where employees will be available for a on one session with the customers. The employees will help t customers with any questions about asos, about fashion or their shopping decisions. Asos is sells over 80,000 products, and it would be impossible to display the same variety of products in the pop up store as the online store. Therefore, ASOS merchandise assortment will be based on the edits used on the website, and then further broken down into product categories. The maximum merchandise will be in the “New Season”, since it will also have the biggest floor area in the store (all merchandise on the ground floor). The second largest section would be “Workwear”, targeted to the local demographics of new york. “Going out-out” would be 20% of the merchandise. This edit includes ASOS’ customers’ everyday necessities. Since the pop up store is scheduled towards the end of holidays, only 10% of the merchandise will be “Holidays”. “Eco-edit” is a newer product line that ASOS started and they currently have a limited merchandise for it. But sustainability is a growing trend in the target market, and has become essential in today’s economy for a brand to display their sustainability practices to their customers, therefore it will cover 10% of the merchandise displayed in the pop up store. “Face + Body” will be the smallest edit being 5%. It will have its own area in the store and will play an essential role. ASOS has a great range of beauty products but people mostly don’t trust buying beauty products online. The pop up store provides asos an opportunity to gain their customer’s trust by letting them try the products on. COMMUNICation and promotional PLAN EARLY APRIL - MID JUNE 2018 ASOS will send out surveys in April through email to see what people want to see in ASOS’ pop up store. They will start with an ambiguous “coming soon” campaign in May, and eventually discard information till June. 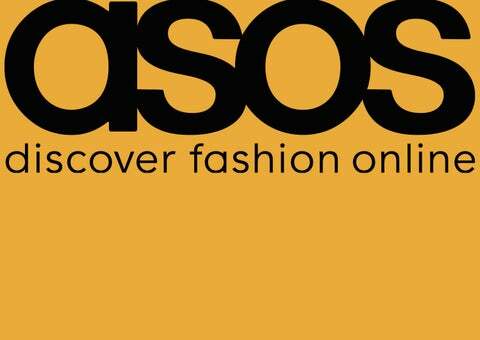 The main Channel for ASOS to promote its pop up store will be its website and app. 78 MID JUNE - JULY 2018 In June and July they will start a contest campaign in which people will suggest them what merchandise they want to see in the store, for a discount if their suggestion gets picked. The primary platform for this will be Instagram. AUGUST - SEPTEMBER 2018 Starting August till the end of September, ASOS will launch an awareness + Promotional campaign about its Pop Up stop through all relevant media: 1. Email Newsfeeds about the pop up store: Customized based on zip codes, preferences and involvement with the brand. 2. Instagram: Promoting merchandise to be displayed, coming soon pictures of the pop up store and live images 3. Snapchat: Mostly used for Live coverage of the pop up shop, behind the scenes and for the Launch Event. 4. Youtube: 3D view of the pop up store, Video ads and promos. 5. ASOS blog posts: to promote the store and the trends featured in it 6. Third Party Blog Posts: For reviews, shoutouts and awareness. 7. Send out promotional cards within packages that are going to ship to the states. h ello USA! ASOS is opening a n e w p o p - u p s to re i n NYC ! S h ow t h i s c a rd a n d g e t t h e co o l e s t t re n d w i t h 2 0 % o ff* at A S O S Po p U p o r u s e co d e H E L LOA S O S U S A *Offer valid from 8/15/2018 to 9/15/2018 until 11:59 pm EST time at asos.com. This promo code is for single use only and the discount will be applied at checkout. PRE-LAUNCH, LAUNCH AND POST-LAUNCH The main marketing campaign will follow a timeline of weekly themes for 9 weeks, starting from August 1st to September 30th. For the launch of the Pop Up Store, ASOS will have an Open Visit on Day 1, where all customers will receive an email invite to the pop up store, which will also get them a 20% off when shown in the store. During the open visit, ASOS staff will walk the customers through the Exhibition Display like tour guides. The Pop Up store will be featured on the homepage of the US website, with a real time update from the Pop Up Store. The 3 Kiosks in the store will be used to capture pictures/selfies of the customers wearing ASOS merchandise, which will be displayed on the homepage for a few seconds at the time of clicking, and at various random times throughout the day like a Picture Montage. Moreover, Whoever posts a picture from the ASOS Pop Up store on their Social Media with the #ASOSPopUp will get a $20 Gift Coupon that can be used at all ASOS channels. “WE’RE OPEN!” “Day 1 at ASOS, soho: what a blast!” “Your favorite merchandise under one roof” “The best of ASOS” “No need to wait for delivery, come get it at our pop up store! the buzz created through the Pop Up store.